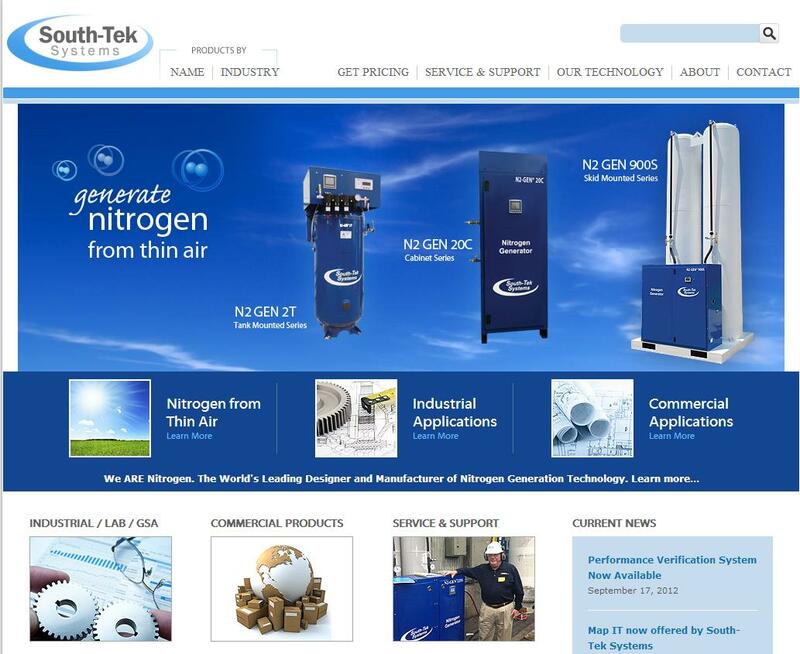 The team at South-Tek Systems is excited to announce the relaunch of our website at www.southteksystems.com. 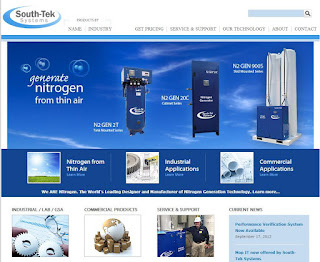 Our new website provides a great deal of information regarding our own Nitrogen Generator Systems, Technology, and Engineered Solutions as well as detailed information regarding specific Nitrogen Gas Applications for a wide variety of industries. Our goal with our new website design is to connect more easily with potential customers based on their specific needs for industrial, GSA, or commercial N2 gas applications. We also want to make it easier for our current customers to access details, updates, and support for their Nitrogen Generator System. These Engineered Solutions ensure that our customers are matched with the best possible system to suit their N2 gas needs. The Flow Verification Program measures a customer's N2 gas requirements before we set them up with a system. Once the best possible system has been installed at the client facility, we ensure optimal performance, safety and reliability with the patented Performance Verification System, MAP-IT, BlastOff, and Electronics Controller Packages. We are excited to be able to provide such a great deal of information through our website for our clients and potential clients. We hope you can take a minute to visit our newly designed website at www.southteksystems.com. We appreciate your comments and feedback! In a working laboratory, maintaining ideal atmospheric conditions is crucial. Not only does a laboratory need to have a clean, controlled environment, it also needs to be safe - particularly those laboratories that house hazardous materials. One of the most common ways labs maintain a clean, safe, controlled atmosphere is through the application of Nitrogen gas. The ideal way to handle this kind of atmosphere blanketing is by using Nitrogen Generator systems that create their own supply of high purity N2 gas from the surrounding air right at the point of process. Labs that use a Nitrogen Generator system will never have to rely on high-pressure gas cylinders. Facility managers won't have to waste time and money changing them out, ordering more, or storing them. And because labs often require a large amount of Nitrogen to maintain the correct atmospheric conditions, having a Generator in the lab can save time, money and improve the functionality of the facility and its equipment. Speaking of equipment, labs are full of highly-sensitive, expensive devices that scientists and technicians rely on to conduct their research and produce certain conditions. In order to maintain the value, functionality and safety of the equipment, the surrounding atmosphere must be controlled. 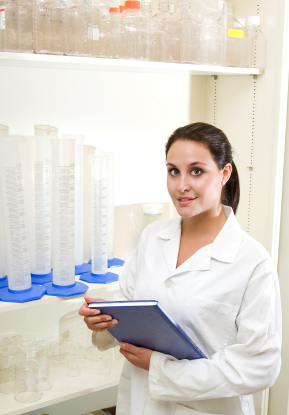 Nitrogen allows for more control in a laboratory environment, since it is clean, dry and inert. Nitrogen gas is applied to control the levels of oxygen, humidity, and temperature for a wide range of lab equipment. Cell incubators, IVF incubators, dry boxes, glove boxes, and mass spectrometers are some of the most common types of equipment that need specific atmospheric conditions in order to maintain their optimal level of use. Without Nitrogen gas (or another agent that diminishes the presence of oxygen), moisture can occur, leading to contamination, corrosion, mildew, or other damaging effects. Nitrogen gas can also help maintain certain temperatures, which is important in a lab environment, as many materials have different reactions depending on how much heat is present. Because oxygen can be harmful if it reacts with other gases or materials, displacing the oxygen in certain conditions can create a more stable, safe environment for lab work. Nitrogen is a clean, dry, inert gas that can reduce or eliminate the risk of combustion, corrosion, oxidation and other unfavorable effects. Unfortunately, some facilities still rely on using tanks of liquid nitrogen that require delivery, storage and handling of hazardous cylinders. Thankfully, South-Tek Systems has a line of high-quality, affordable Nitrogen Generators available for laboratories and medical facilities. Through either simple PSA or Membrane technology, South-Tek Systems' Nitrogen Generators do not have to rely on high-pressure storage tanks. Rather, these generators produce their own never-ending supply of Nitrogen from the air we breathe. This will reduce the risk of running out of gas at inopportune times, giving your facility a steady stream of Nitrogen on-demand. Call South-Tek Systems to learn more about our N2 GEN® equipment and how it can benefit your lab operation today: (888) 526-6284.